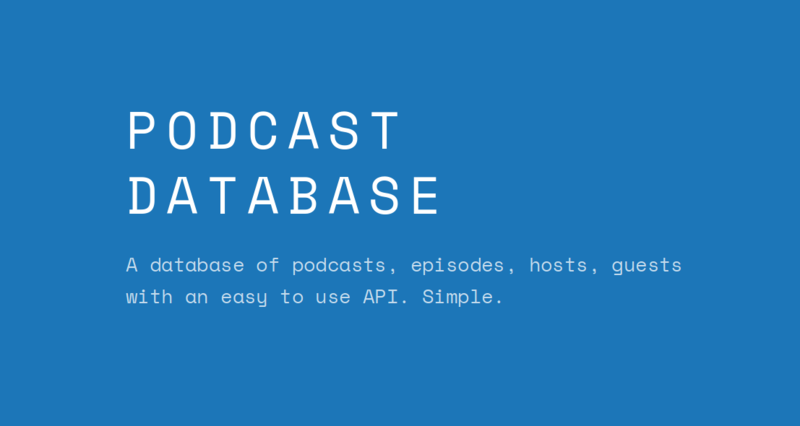 The Podcast Database is nice and simple. It’s a database.. of podcasts. Crazy! The interface is absolutely minimal - infact it’ll probably just start off as just an API. Get your JSON browser ready!